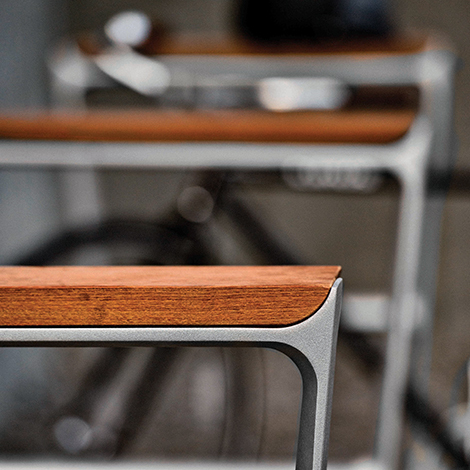 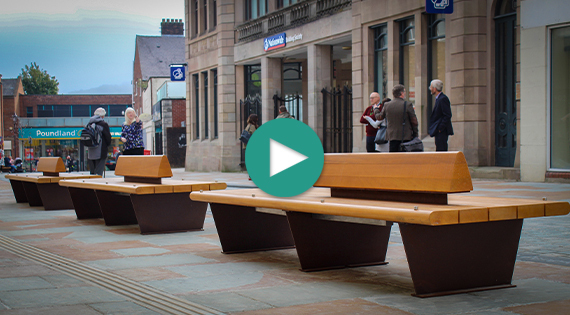 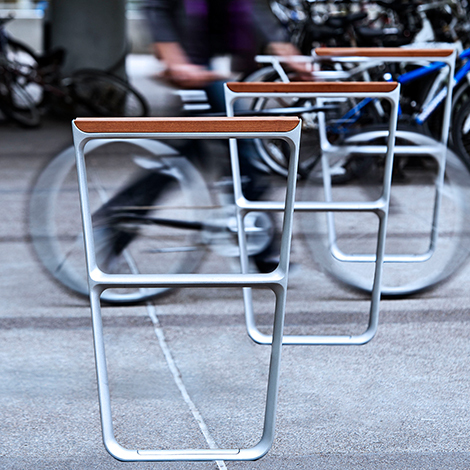 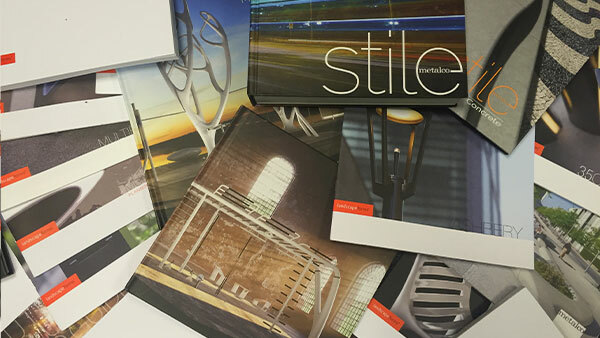 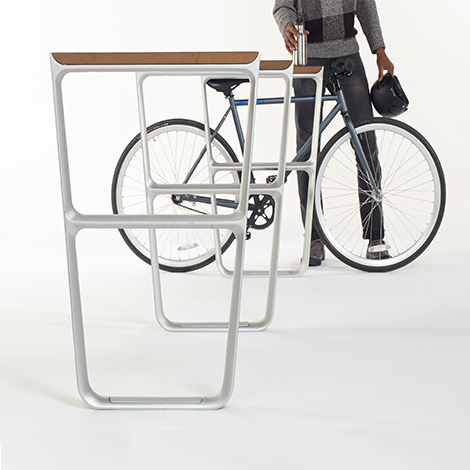 The MultipliCITY cycle stand shares the subtle convex frame language of the benches, seats and table. 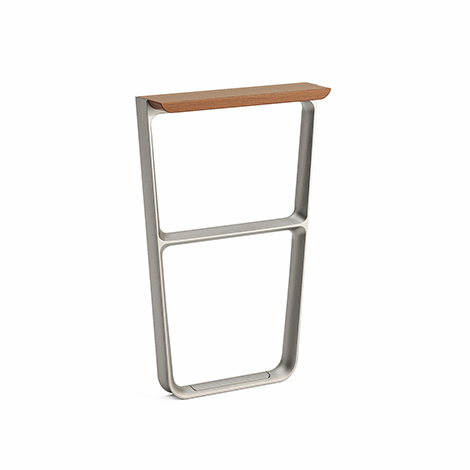 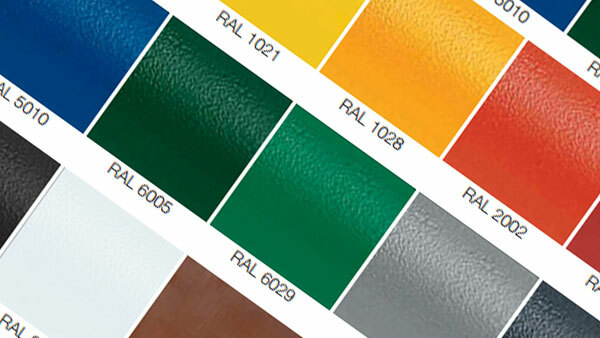 Manufactured from a single aluminium casting, it has unique ergonomic features. 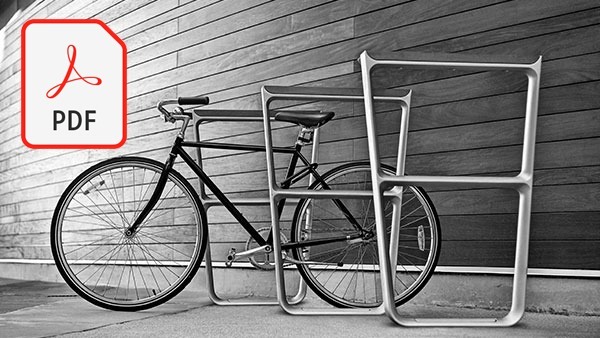 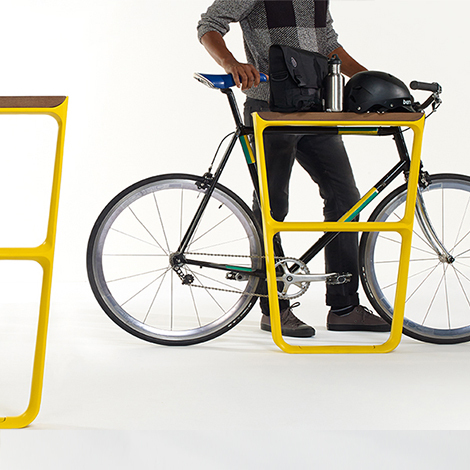 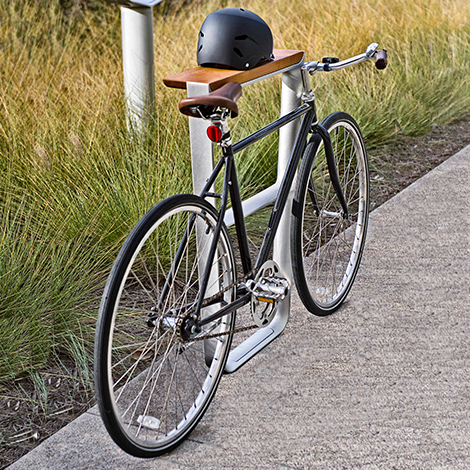 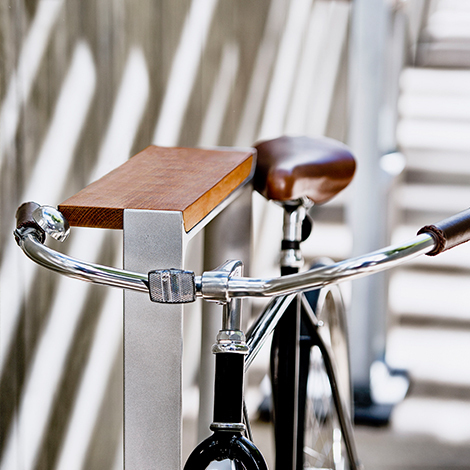 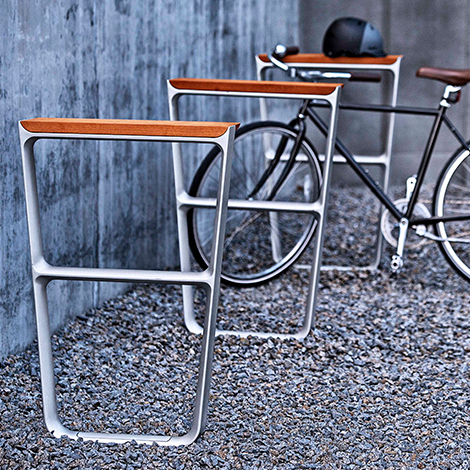 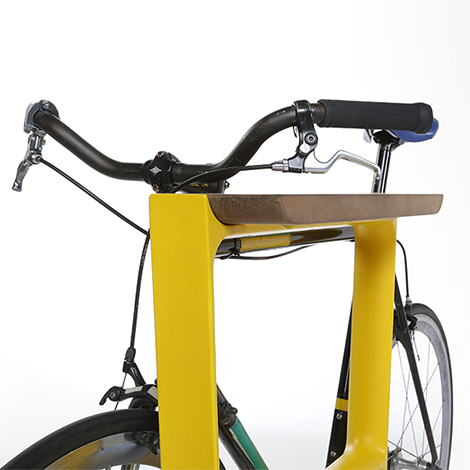 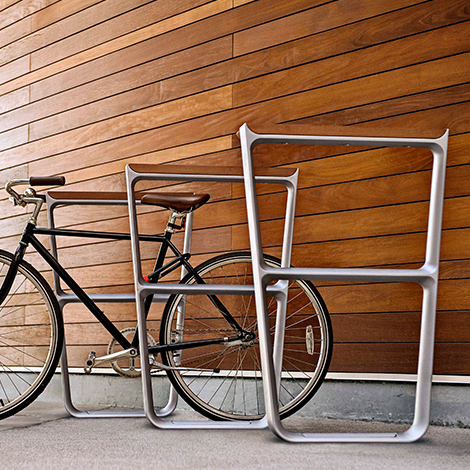 The bike rack is standing height and includes a handy wood shelf on top that provides a place for phone or keys while the bike is being secured. 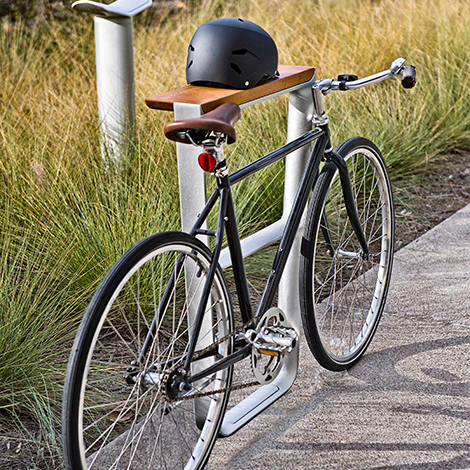 A horizontal bar between the top and bottom of the frame offers a place to affix a bike cable and keeps the bike lock from falling to the ground.